Rockman Corner: Mega Man 11 Soundtrack "Coming to a Variety of Digital Platforms Soon"
Mega Man 11 Soundtrack "Coming to a Variety of Digital Platforms Soon"
Hot on the heels of the album's physical release in Japan this week, the official Mega Man Twitter has announced that the Mega Man 11 Original Soundtrack will arrive on a variety of digital platforms soon. Capcom didn't exactly say where you'll be rocking out to these tunes, though. If past digital OSTs are any indication, we could see it on iTunes, Spotify and Steam. (yes, Steam) Additional details are forthcoming. 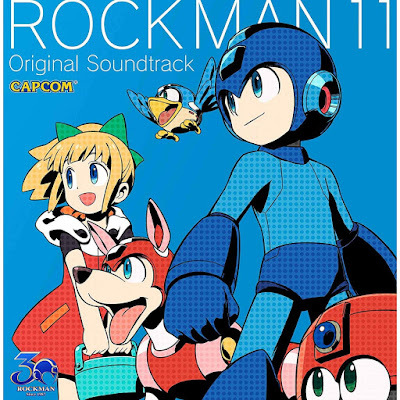 For the uninitiated, the OST contains not only the entire Mega Man 11 score but several arranged pieces that are completely different from the "Wily Numbers" pre-order DLC tracks. You can listen to a few samples from these new pieces here. A brand-new, original vocal theme song called ["RM11"] sung by Mega Man's Japanese voice actor, Ayaka Fukuhara, is also included. No need for brackets around "RM11." Brackets in Japanese are simply their version of quotation marks. If there was a physical CD-rom boxed version of MM11 for PC I would have bought it, Denuvo or not.